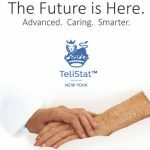 Welcome to Brookhaven Health Care Facility’s TeliStat™ Restorative Care Unit (TRCU). 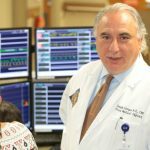 The TRCU concept, and the associated proprietary technology, was developed by Dr. Anthony Bacchi and is designed to treat higher acuity patients more effectively in a nursing home setting. 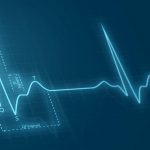 The TRCU delivery model provides patients with noninvasive monitoring of their cardiac performance through state-of-the-art telemetry. 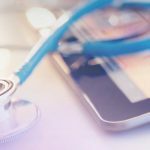 This includes the ability to monitor essential vital signs in real-time, thereby enabling physicians to intervene immediately in serious medical situations. 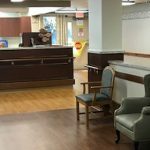 Every patient admitted to the unit is outfitted with a portable wi-fi/cellular cardiac monitor which registers the real-time data 24 hours a day, including when they are at therapy. The information is transmitted to a central nursing station where our team has immediate access to any change in a patient’s status or condition. The unit’s state-of-the-art capabilities help limit hospital readmissions by providing immediate medical intervention and decreasing the chances for adverse outcomes. Professionally trained nurses are an integral component of the TRCU and have a 6-to-1 ratio with their patients. They are certified in advanced cardiac life support, intravenous IV insertion and have telemetry expertise. Patients are cared for by an interdisciplinary team, including doctors, registered nurses and certified nursing assistants. 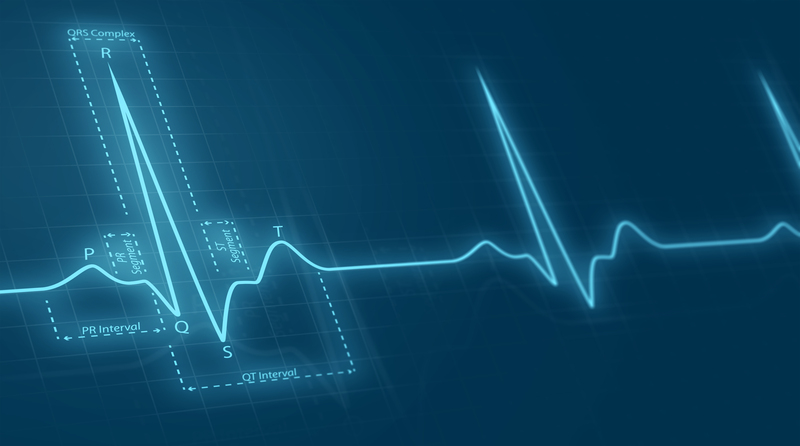 Clinical oversight by a cardiologist consultant and intensivist is available 24/7. 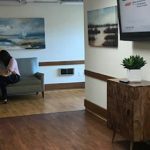 The TRCU is also equipped with telemedicine technology, which allows multiple parties to be involved in the real-time care of a patient via electronic communication, essentially doctoring from a distance. The specialized equipment includes image automation software, video monitors and high-definition cameras to capture the most intricate details. This innovative technology brings timely medical assessments to the patients, verses taking the patients out of their environment for treatment. 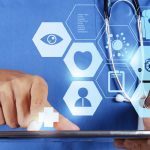 In addition to easing the care between physician and patient, the HIPAA-compliant software allows other individuals, such as medical personnel and loved ones, to take part in the care planning from anywhere in the world. 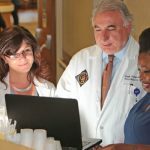 Brookhaven Health Care Facility continuously receives 5-star ratings from the federal government which rates every nursing home in the country. In addition, it is among an elite list of facilities state-wide that have achieved the top quintile status in NY State’s Quality Initiative for 5 out of 5 years. Brookhaven is the only facility in Long Island to have achieved this milestone.